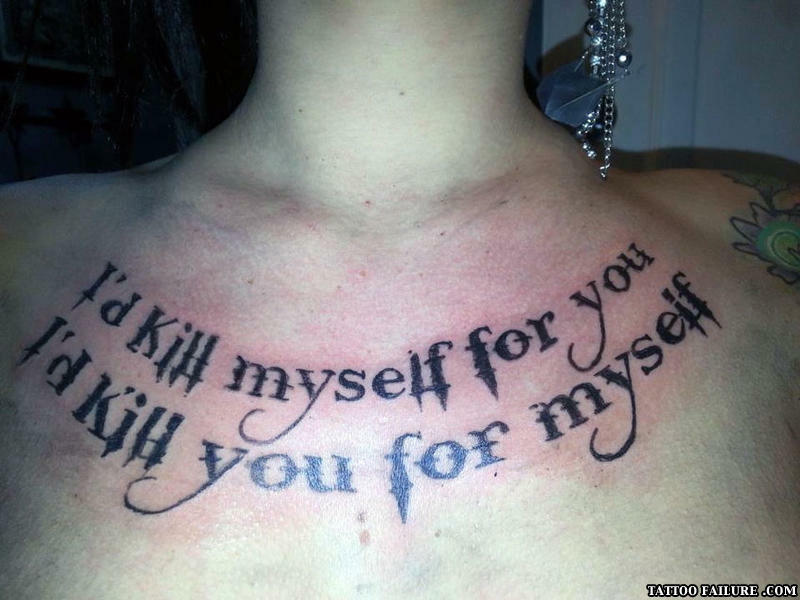 And I'd rather kill myself than having a tattoo like that. Please do so we have one less idiot around. Um, how about you go first??? STAY AWAY FROM THIS WOMAN . What do you call a man that eats a sandwich?